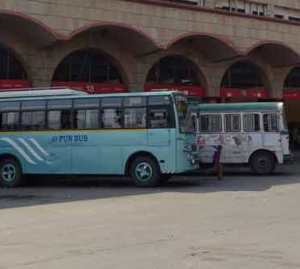 Chandigarh : Travelling by buses will be cheaper in Punjab from Thursday with the state government announcing to slash bus fares by 4 to 8 paisa per km in the state-owned buses. The decision was announced on Wednesday and will be effective from Thursday. Terming the reduction in fares as a "New Year gift" for the people, state Transport Minister Ajit Singh Kohar claimed it is for the first time in the history of the state that the bus fares have been reduced. He said the bus fare for ordinary buses have been reduced by 4 paisa per km and will be now 87 paisa per km. In case of Heated Ventilated & Air conditioned (HVAC) buses, fare has been brought down from 109.20 paisa per km to 104.40 paisa per km. Fare in integral coaches will be now 156.60 paisa per km instead of 163.80 paisa per km whereas super integral coaches rate of fare will be 174 paisa per km against the earlier rate of 182 paisa. Notably, in the month of June this year, the state government made travelling by buses costlier by raising fares by about 8 paisa to 91 paisa per km in ordinary buses. The Punjab government had not reduced bus fares despite demand from several quarters including opposition parties in the wake of reduction in diesel prices.